Once upon a time there lived a couple in love. They had known each other for as long as they could remember. They were engaged to be married when the unthinkable happened - she fell pregnant. And it wasn't his. Even so, they decided to go ahead with the marriage. Within weeks they embarked on a journey, but it was no honeymoon. He forgot to book a hotel room and she went into labor without a birthing suite in sight. Their relationship was less than ideal. There were complications, doubt, trust issues, and instability, not to mention the sacrifice to raise a child not their own. But they determined to make it work. 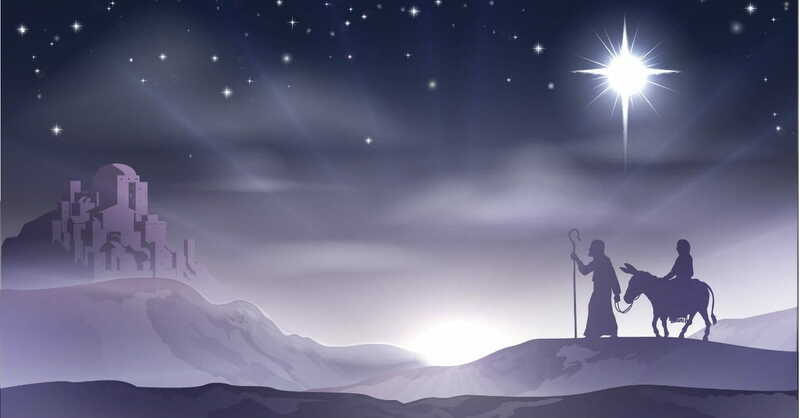 It was their destiny to raise the Son of God. Together. Their love story is a marriage lesson to us all. It may not make sense. The situation may seem impossible. The odds may be stacked against you. Trust God. Trust He knows what He's doing. He knew what He was doing when He entrusted the birth of His Son in the care of two young people. He knew what He was doing when He brought you and your spouse together. The Father will work all things together for good. Trust in Him. Perfect love casts out all fear. Don't allow fear to rule your marriage or the love you share. Marriage is often painted in a negative light. Media portrays affairs and suspicion a normal part of a relationship. But they aren't. Trust your partner. Love him without fear. Without doubt. 3. Love can grow in difficult circumstances. Unfaithfulness. Bad financial decisions. Unemployment. Wayward children. Blended family issues. It's not easy. But neither was ridicule for marrying a pregnant woman who claimed to have seen an angel. Neither was a journey to Bethlehem with a woman about to give birth. In difficult circumstances love can grow. It won't be easy and your patience will be tested, but love is purified and strengthened in the fire. Mary and Joseph loved their baby but they also loved each other. They did not allow tough situations to drive a wedge between but to mature their love. 4. Walk it out. Together. Mary and Joseph embarked on the journey of giving birth to the Son of God together. They had each other's backs. They didn't have all the answers. But they could not do it alone. Go on the journey together. Two are better than one. You may not know what lies up ahead but do it together. Protect each other. Share the load. The journey is better when you journey together. 5. Look for the stable. Though we are talking about a family who lived 2,000 years ago, a stable was not a common place for a babe to be born. My guess is it was neither comfortable nor pleasant smelling. Yet a miracle occurred in the manger. You may be living in your own "stable" right now where life just plain stinks! Look for the silver lining. Look for the hidden blessing because it is there. You will discover your very own miracle when your change your outlook. Father, I don't know what is going on. The situation we face seems impossible. And our marriage is in the firing line. I'm not sure what to believe or who to trust. The road ahead seems hard, even impossible. Give us tenacity and perseverance. Lord, I believe we will experience our own miracle in the manger. The fight, the struggle, the journey will be worth it in the end. I know you are faithful to answer my prayer. Amen.